These eight MMORPG iPod Touch games are pretty similar, with only one or two different game play additions or a modified theme. For the sake of discussion and brevity in this article, we will review the basic game type, then describe each game and it’s unique features. Each one of these mmorpg ipod touch games is based on it’s own world. Racing Live is about the street racing scene, Ninjas Live, Vampires and Zombies have you in roles of Ninjas, Vampires and Zombies. The basic game type for each is almost identical. You go out on excursions to earn money (or flesh, or blood, or gold ) also to earn experience. Experience helps you level up, which unlocks more features. Each mmorpg ipod games money system affords you the option to buy weapons (armor, units, spells, abilities) which increases your chances of success in winning battles. You can also buy some time of property, from graves to race tracks. Each game has a solid game type to build upon. Feel like being a Don? This is all Mafia. 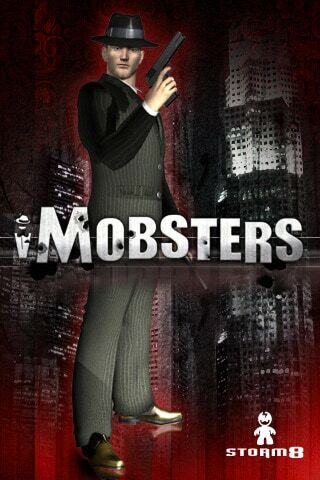 The levels are centered around crime, from simple muggings to torching down a police station. This games focus is the most amazing equipment. Racing Live as you can imagine is a game about street racing. From drag racing to delivering packages. It is unique from the other mmorpg ipad games in this review in that your ‘team’ will grab the best cars and one part upgrade. Zombies and Vampires. These are unique in that zombies players can attack and join forces with vampires. Theoretically you could end up attacking yourself. Fantasy Role playing game. In a crowded niche this game does its best to keep the player entertained. It’s possible that this genre has been overdone. It’s fairly hard to be competitive when the game type has been played out. This game introduces a passive income stream, a great idea. You can earn more through aggresive real estate methods than you can by completing levels or missions. Feel like being a Front man? This game comes with ‘Practice’ levels that shell out experience but little money. Go on tour earn world fame. Please kindly share by leaving your comment under this page if you have your own thought on Best MMORPG iPod Touch Games.